Give us a call or contact us by completing the online market analysis form so that we can better serve you. We would like the opportunity to explain how our “Every Day Until It’s Sold” Marketing Plan assists you in selling your property. Essential to getting your home sold is to put the property in front of as many buyers interested in Keys property as possible. The more buyers that are exposed to your home, the greater the likelihood of selling your home for the best price in the shortest time. How does Coldwell Banker Schmitt find those buyers for you? If it were as simple as advertising in the paper, it would be easy. 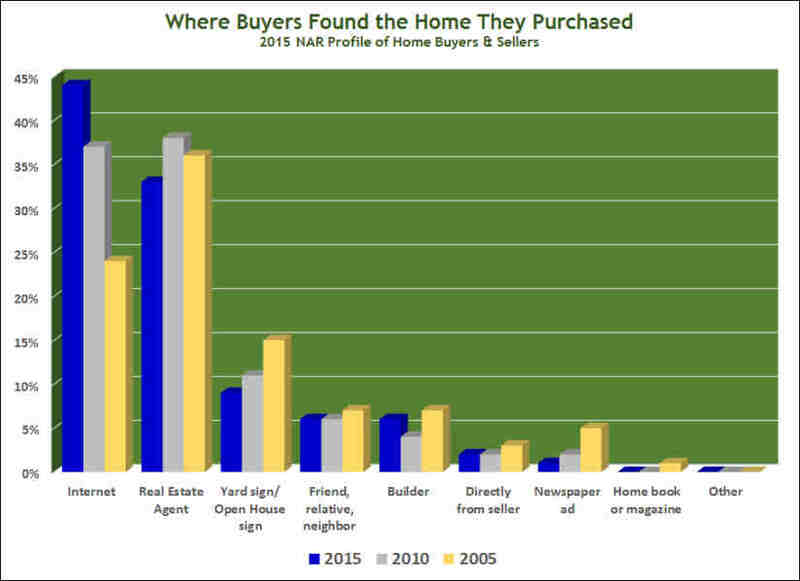 Per the 2015 Profile of Home Buyers & Sellers from the National Association of Realtors (NAR), buyers found the home they bought through newspaper advertising in only 1 percent of all sales. The internet and real estate agents are, by far, the two most important sources. The advantage of selling through Coldwell Banker Schmitt is that our Every Day Until It’s Sold marketing plan encompasses an array of proven, successful ways to attract prospective buyers. Our client Service First sales follow-up surveys show that 60 percent of the buyers have come to Coldwell Banker Schmitt because of our company's reputation as “the most trusted name In Florida Keys real estate." We have been here for 60 years. We maintain contact with all past clients, through a quarterly newsletter and monthly mailings, keeping them informed about the Keys real estate market. As a result we receive numerous buyer referrals every year. We are not only the top listing and listings sold company in the Keys but also the leading company for having sold our own listed properties. As such, we have more signage visible than any other company and we receive multiple daily calls from interested buyers throughout Monroe County. RealEstateFloridaKeys.com generates a continual stream of inquires about our listed properties. Also, we find that buyers who peruse the market on the Internet generally have a very good idea of what they want, are serious about buying, and they contact the listing agent when ready to buy. Many buyers come through our affiliation with Coldwell Banker and its websites, ColdwellBanker.com , ColdwellBankerPreviews.com and CBCWorldwide.com. That affiliation results in worldwide buyer referrals. Through our marketing partnerships, our listings appear on over 700 websites with real estate property search functionality. We have more productive agents on a per-person production basis than any other company Keys-wide. Consequently, our agents have extensive buyer contacts. We keep them informed of new listings as they come on the market.